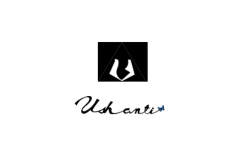 Business description - Ushanti Colour Chem manufactures reactive and direct dyestuffs also known as Synthetic Organic Dyes with an integrated production process. The company also manufactures Copper Phthalocyanine, Blue Cued which are one of the major raw materials used for manufacturing of Dyestuffs. The pigment and dyestuffs manufactured by it cater to the raw material requirement of textile, garment, cotton, leather, nylon, paper, wool, ink, wood, plastic and paint industries. The company concentrates on manufacturing “Turquoise Blue” Dyestuffs and Pigments. The company has 3 manufacturing facilities situated together at Vatva GIDC in Gujarat. The facilities are spread over 2,739 sq. meters in total area. The company also has its own Ice generation machinery, further it recovers Ammonium Carbonate from its effluent stream which are reused in th plant as well as sold to the Soda Ash Industry reducing wastage giving us incremental revenue. Ushanti Colour Chem currently has a production capacity of approx. 2,520 tons per annum. Ushanti Colour Chem IPO allotment status is now available on Bigshare Services' website. Click on this link to get allotment status.